During a leap year in which Adar are the four Parshiyos to be read? In a leap year the four Parshiyos are read in the second Adar. What is the law if a congregation forgot to read one of the four Parshiyos? *Important note: This law is only with regards to a congregation that heard the weekly Parsha and simply forgot to read the extra Parsha. If however they did not hear the weekly Parsha and want to make a Minyan specifically for the extra Parsha, see next Q&A! They remembered that Shabbos: If they remembered prior to the time of Mincha Gedola they are to take out the Sefer Torah and read it upon remembering. [See footnote for the order] If they remembered after the time of Mincha Gedola, and long after having finished the prayers, some Poskim rule it may no longer be read. Others rule it may be read by Mincha. Practically it may be read without a Bracha. Regarding Parshas Zachor, refer to 1B in the Q&A! Can they make up the Parsha the next Shabbos? If a congregation forgot to read the extra Parsha then the opportunity is lost and the reading cannot be made up on the following week. Many Poskim however rule that Parshas Parah is an exception to the above ruling. Thus if a congregation did not read Parshas Para on its proper Shabbos they may read it the next Shabbos. Some conclude that this is the practical ruling that is to be followed. Can one make a Minyan for people to hear just the extra Parsha even if they did not hear the Parsha of the week? One may not make a Minyan to read the extra Parsha of the week if the Minyan did not hear the weekly Parsha. Parshas Zachor: Some Poskim rule that an exception to the above ruling is the Parsha of Zachor, which may be read with a Bracha if a Minyan gathers, even if they did not hear the weekly Torah reading. This may be done any time of the day, even after Mincha. Other Poskim however rule that past Mincha Gedola it is to be read without a Bracha. If the Baal Korei skipped a verse in the reading of one of the four Parshiyos is one Yotzei? If the skipped verse discusses the matter that the Sages required one to read in this Parsha, then one is not Yotzei. If however the verse does not discuss the topic of the Parsha, one is Yotzei. However there are Poskim that rule one is always Yotzei irrelevant of the verse that was skipped. What is the law if the Baal Koreh skipped one word or letter? It is considered as if that verse was skipped, and thus receives the status of law discussed in the previous Q&A! What is the law if a Parsha was read on its wrong Shabbos? See General Q&A 1 regarding making up the missed Parsha the next week. See Halacha A & C in Q&A regarding if one is required to repeat the reading of the Parsha that was already read. What is the law if a congregation accidently read the four Parshiyos in the first Adar? If a congregation read the four Parshiyos in the first Adar they are required to repeat the reading in the second Adar. If they remembered after already reading the Maftir and Haftorah: They are to take out the Sefer Torah and read the extra Parsha from it. One person is called to read from the Torah, and says a blessing before and after as is usually done. Half Kaddish is recited after the concluding blessing that follows the reading. This is then followed by Hagba and Haftorah. The Haftorah is read without reciting a blessing neither before nor after the Haftorah. The reason: As the Sages instituted for the Parsha to be read in proximity to the morning Torah reading and not as a separate reading by Mincha. According to all if the Minyan of Shacharis continued past the time of Mincha Gedola they are obviously to still read the extra Parsha, and the above is only discussing a case that they finished Davening and only then remembered they did not read the extra Parsha. Zechor Leavraham 1 “Sefer Torah” rules it may be read past the time of Mincha Gedola and is thus to be read by Kerias Hatorah of Mincha. [brought in Sheivet Halevy 4/71] Hisorerus Teshuvah 4/68 rules they are to read Kohen and Levi in the portion for Mincha, and Yisrael for the extra Parsha. Other Opinions: The Pischeiy Shearim on Shaareiy Efraim ibid argues that no Parsha is able to be made up the following week, and so seems to be the opinion of the M”B which did not mention any differentiation. 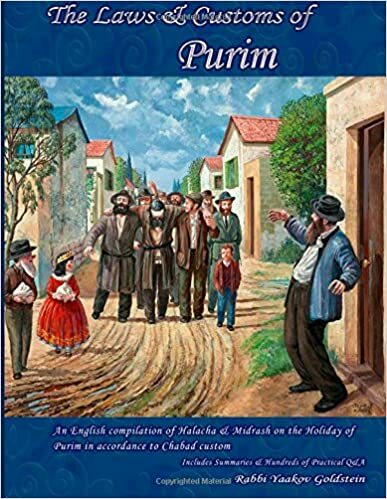 Sheivet Halevy 4/71; See however there that if the people who came to this Minyan are not G-d fearing then one should not read for them Parshas Zachor if it is past Mincha, even without a blessing, and rather they are to come for the reading of Purim to be Yotzei.